What questions do we often ask a child regarding school? About grades or about the particular concept in a subject? 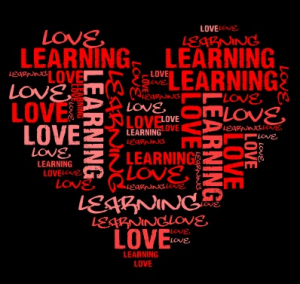 What if instead we ask each student if he or she loves learning? There are a number of students who do not enjoy learning. Unfortunately, these students as adolescents have equated learning with schooling. Many of these students see learning as a chore or irrelevant to their daily lives. To make matters worse, many of these students are very creative. What can we do to help these young minds change the way they look at learning? How can their perception change from being apathetic and despising learning to enjoying it and taking initiative? I think it would be an amazing experiment to ask and track students who love learning and those that do not enjoy it at all. I believe we will discover that the more a student loves learning, the more they learn in classroom and on one’s own. Tracking these students and their achievements may prove they learn considerably more over the long run. On the other hand, I also believe that the more a student does not enjoy learning, the less they learn. They will only do the minimum that they have to do. It will be a forced chore enforced by parents, teachers, and school administrators. If we can encourage, excite, and engage the second group based on their own interests early, we can get them to say that they love learning about art, games, sports, music, or other interests. We can then use these interests as gateways to the child’s learning and initiative in the future. As brothers, sisters, parents, teachers, and foremost caring human beings, we must help these students discover a love of learning for the things they already enjoy. I strongly believe that loving learning about a particular interest can then be connected to various other disciplines. It can be done informally or systematically, but it needs to start somewhere. What if we asked every student at the end of the school year, if they enjoyed or did not enjoy learning? Then we tried to do an intervention in the summer with those that said they don’t enjoy learning. What do you think would be the result?